Pattern Review: The Gable Top by Jennifer Lauren Handmade! I was provided the Gable Top pattern by Jennifer Lauren Handmade in exchange for this honest review. All opinions are my own. I have long been a big time fan of the sartorial stylings of Jennifer Lauren Handmade. Jen has an uncanny knack for pulling out the best of retro from the evil clutches of polyester and unfortunate plaids. She’s all the glamour of Joan and all the grace of Betty, with none of the awkward Peggy fashion experiments gone wrong. I hadn’t had a chance to take the plunge into Jen’s patterns yet, but when the Gable Top crossed my Instagram feed, I knew it was time. It’s a fun, fresh take on a vintage silhouette: a high slash neck tee with a variety of sleeve options: short, long, and with contrast cuffs (the option I chose, obviously, because SWANS). I love how it’s perfectly at home with a circle skirt and with jeans, and that it can go from casual to glam in a heartbeat. I also love the feminine but not at all cutesy vibe that it exudes, which is key when you walk around with hair shorter than your average teenage boy. Before I get to the pattern itself, I need to take a moment for a public service announcement so that you do not make the same mistake that I made. In sewing with knits, I never before paid much attention to the stretch and recovery of my fabric choice. And so I saw that the pattern called for a medium-weight knit and I figured I’d order a bunch of interlock prints to make two thicker tops perfect for fall. But when the fabrics arrived, one of them had almost no stretch at all, and when it did stretch, it sure didn’t recover very much. In the pattern, Jen VERY ADAMANTLY advised that the fabric needed to have good stretch and recovery, and so I opted to forego it so as not to ruin $30 worth of textiles. I’m glad I did. I ended up going with my second selection, also both interlocks but with much better stretch and recovery (particularly the blue solid). In the future, I’d actually select some with a bit more, like a jersey. Lesson learned, but the finished product still looks and feels great. If you’re interested in learning more about fabric selection for the Gable Top, check out Jen’s really informative post here. The instructions in the Gable Top pattern were very clear, accurate, and easy to follow. I appreciated the little tips and tricks throughout, and the pattern was expertly drafted. I needed to make a few slight modifications (narrowing the neck slit and slightly shortening the cuffs/lengthening the sleeves because I didn’t have enough cuff fabric) but had no trouble doing so. You’ll see mine is a bit curvier than other versions of this top. Whoopsies! I don’t think it looks bad, but I’ll remember to do the grading next time so that it looks a bit more professional. I’ve laughed a bit to myself as Jen’s noted on her IG photos that the Gable Top is the perfect garment for spring (she’s in New Zealand where they’re all just kicking off the warm weather). I saw it and knew it would be my go-to tee for fall. I plan on making a million more as key additions to my layering wardrobe in the impending colder months. And then I’ll shorten the sleeve on the pattern and do it all over again for spring. The Gable Top is an instant all-weather classic, and those are the best patterns to own! Have you tried any of Jennifer Lauren Handmade’s patterns yet? Which are your favorites? Sometimes I think that inspiration is mostly just pure luck. Out of nowhere, my friend Allie from Indiesew asked me if I wanted to come over one day and dip dye some fabric in a vat of indigo that she was getting ready to throw out. I was all about it, but I didn’t have time to go shopping, so I raided my stash. Leftover from a previous sewing life of making and selling baby wraps was about 2 yards of Nani Iro double gauze, a natural undyed color with metallic silver dots. I took it over to Allie’s and we got to indigo dyeing each end about 12″ up, giving it a cool ombre/splashing waves effect. The double gauze soaked up the dye like gangbusters, but the silver dots retained their metallic sheen. I thought that maybe I’d turn it into a skirt, making the dyed part the bottom hem. But when I got home, I noticed a piece of fabric that had been sitting on my table for four months: a remnant of Hermes wool and linen voile that my sister got me as a souvenir from a trip she took to Paris. I’d been saving it for a rainy day, and the blue matched the indigo dye in the double gauze perfectly. JACKPOT! I thought it might be cool to design a bit of a retro-inspired dress with this modern fabric combo, something like Roman Holiday meets Project Runway. I turned to a book I’d recently received for my birthday: Sew Many Dresses, Sew Little Time (affiliate link!). Though this isn’t a book review post, let me just say that this book is awesome. I’m calling it modular fashion design: a bunch of bodices and skirts and collars and sleeve styles that you can mix and match (with some slight modifications for each) to create your own garment. I think it’s an awesome transition for someone at my sewing level: able to follow most sewing directions easily, but not quite at the point where I feel comfortable drafting my own patterns. I added cap sleeves to the lined classic bodice and created a gathered, calf-length “dirndl” skirt with my double gauze. After making a muslin, I also found that I needed to add a couple of extra darts to the back neckline to get rid of some gapping. My biggest challenge in this garment was adding the invisible zipper to the middle of the back skirt, where there was no seam line (my seams were on the sides as I had to sew two pieces of fabric together). I had to cut into the skirt once it was sewn on, which was terrifying. There are a few minor hiccups back there, but pressing them out helped a lot. Overall, I am SO HAPPY with how this dress turned out. I feel like it’s so classy but fun and cool, and I could wear it out for a date or to a wedding with no reservations whatsoever. I’m also really excited to try some more pattern designing (and indigo dyeing!) now that I have a bodice pattern that fits me like a glove. Have you experimented with indigo dyeing? Under the Cover: Two Modern Sewing Books from Fons & Porter! FCC disclosure: Fons & Porter sent me these modern sewing books in exchange for my honest review. This post contains affiliate links. With all the recent news about sewing and quilting magazines being shuttered, it’s good to know that craft book publishing is still going strong. The Quilter’s Paper-Piecing Workbook by Elizabeth Dackson and Sundressing by Melissa Mora are two new modern sewing books from Fons & Porter that prove my point. With gorgeous photography, really fun projects with a modern aesthetic, and clear instructions from industry experts, these books are a perfect addition to any sewing library. Overall, I think it’s fabulous how this book has a little something for everyone. Dackson’s tutorials for paper piecing are second to none, and it’s helpful even for experienced piecers to read the tips and examine the step-outs. But I also really like that there are more challenging projects for those who are up for taking risks in their quilt designs and a helpful “troubleshooting” section for when those points just don’t match up. 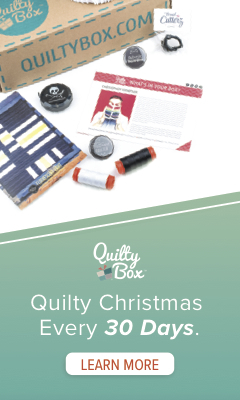 And rather than printing the templates at the back of the book, the Quilter’s Paper-Piecing Workbook includes a CD for easy printing and duplicating. It’s a great all-around resource for paper piecers of all levels. For the garment sewists, Sundressing is another staple in your book collection. Created by Melissa Mora of Melly Sews and Blank Slate Patterns, another industry powerhouse, this book celebrates everything that a summer sundress is supposed to be. It might be almost fall now, but I’m already planning my wardrobe for next year. The book is divided into sections for different styles of wear: everyday dresses, chic dresses, more formal dresses, etc. It’s fun to see how many different ways a sundress can be adapted. I particularly enjoyed how Sundressing includes dresses for women and girls together. Obviously this is because I have a girl of my own, but it’s fun to compare the styles and see how they might work together. Mora explains in her introduction that a lot of the dresses in this book are modeled on “basic bodice blocks,” each designed to be customized via muslin for a perfect fit and to allow interchangeable skirts between designs. It’s a great, simple approach for those who are interested in beginning to alter designs for a better fit. Ready to get back into sewing and quilting after a long summer? 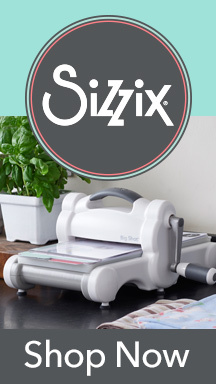 Dust off the machine, crack open one of these babies, and get stitching! Which one piques your interest? Posted in garment love, quilter love, Under the Cover | Comments Off on Under the Cover: Two Modern Sewing Books from Fons & Porter! FCC Disclosure: I was provided with beautiful cotton spandex fabric and social media promotion by Girl Charlee in exchange for creating this post. Be sure to scroll all the way down for your chance to win a fabric bundle from Girl Charlee! This post also contains affiliate links, where I receive a small amount from each sale. Thanks for your support! Guess what: it’s back-to-school time! A knit pencil skirt is a classic item for dressing up for work or school but not looking like you’re trying too hard–and for the quilters among us who are TERRIFIED of sewing garments, it’s actually one of the very easiest things you can make. So here’s a knit pencil skirt tutorial for moms and kids. YOU CAN DO IT. I promise. The major difference between pencil skirts for mamas and those for kids is that mamas have curves. Kids (unless they’ve eaten three pieces of pizza in the last ten minutes) generally don’t. In this tutorial, I’ll show you how to create a slimming, curve-celebrating skirt for you, along with a super easy pencil skirt for the little one. You may recall that a few months back I made a Rushcutter dress (by In the Folds), a pattern featured in Indiesew‘s Spring Collection. The dress itself has a completely different look depending on the fabric used. It can be sewn up in a heavier fabric for a more structured look, as shown in the collection, or in a more drapey and lightweight fabric for a softer aesthetic. I went with the latter, choosing a beautiful graphic rayon from Cotton + Steel and leaving the neck binding exposed for a bit of a retro vibe. Well, here’s the thing about me: I DON’T GET DRESSED UP. It’s not that I’m opposed to it; I just don’t have much occasion. I work from home, and my extracurricular activities involve sewing (in my pajamas) or picking my kid up from camp or school (likely also in my pajamas). My uniform is jeans, a tee-shirt, and Birkenstocks. It’s how I roll. A SWING TOP. The Rushcutter is an A-line swing dress, so why not cut it off at hip level and transform it into a summer, breezy top? It’s perfectly suited for wearing with shorts and flip-flops for hot summer days, or it can be worn with wide-leg or skinny pants and flats for a chic yet casual look. The horizontal “zip-line” print was perfect for figuring out where to cut. I first chose the line that was just about where I wanted the top to be at its longest point, added 1/2″ or so for hem allowance, and cut it off. The dress has a side panel under each arm, so then I found the horizontal center of each panel and marked it a few inches up from the new cut line. Then I carefully drew and cut a curved hem. Business in the front and back, “reasonable mom” amount of party on the sides. And I LOVE it! I wore this top to Quilt Market and felt sophisticated and cute, but not too dressed up or too twee. The Rushcutter swing top has made a regular appearance in my summertime garment rotation, and it was such an easy hack to make. The only problem? It’s got me thinking about what other dresses in my closet I can cut up and repurpose. What’s your favorite pattern hack?